The Leica is the pioneer 35mm camera. From a nit picking point of view, it wasn't the very first still camera to use 35mm movie film, but it was the first to be widely publicized and successfully marketed. It created the "candid camera" boom of the 1930s. It is a German product - precise, minimalist, utterly efficient. Behind its worldwide acceptance as a creative tool was a family-owned, socially oriented firm that, during the Nazi era, acted with uncommon grace, generosity and modesty. E. Leitz Inc., designer and manufacturer of Germany's most famous photographic product, saved its Jews. 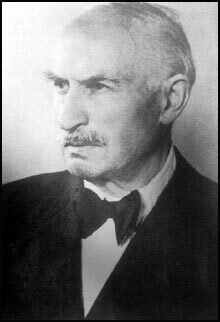 And Ernst Leitz II, the steely eyed Protestant patriarch who headed the closely held firm as the Holocaust loomed across Europe, acted in such a way as to earn the title, "the photography industry's Schindler." As George Gilbert, a veteran writer on topics photographic, told the story at last week's convention of the Leica Historical Society of America in Portland, Ore., Leitz Inc., founded in Wetzlar in 1869, had a tradition of enlightened behavior toward its workers. Pensions, sick leave, health insurance - all were instituted early on at Leitz, which depended for its work force upon generations of skilled employees - many of whom were Jewish. As soon as Adolf Hitler was named chancellor of Germany in 1933, Ernst Leitz II began receiving frantic calls from Jewish associates, asking for his help in getting them and their families out of the country. As Christians, Leitz and his family were immune to Nazi Germany's Nuremberg laws, which restricted the movement of Jews and limited their professional activities. 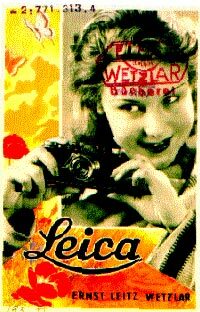 To help his Jewish workers and colleagues, Leitz quietly established what has become known among historians of the Holocaust as "The Leica Freedom Train," a covert means of allowing Jews to leave Germany in the guise of Leitz employees being assigned overseas. Employees, retailers, family members, even friends of family members were "assigned" to Leitz sales offices in France, Britain, Hong Kong and the United States. Before long, German "employees" were disembarking from the ocean liner Bremen at a New York pier and making their way to the Manhattan office of Leitz Inc., where executives quickly found them jobs in the photographic industry. Keeping the story quiet the "Leica Freedom Train" was at its height in 1938 and early 1939, delivering groups of refugees to New York every few weeks. Then, with the invasion of Poland on Sept. 1, 1939, Germany closed its borders. By that time, hundreds of endangered Jews had escaped to America, thanks to the Leitzes' efforts. How did Ernst Leitz II and his staff get away with it? Leitz Inc. was an internationally recognized brand that reflected credit on the newly resurgent Reich. The company produced range-finders and other optical systems for the German military. Also, the Nazi government desperately needed hard currency from abroad, and Leitz's single biggest market for optical goods was the United States. Leitz's daughter, Elsie Kuhn-Leitz, was imprisoned by the Gestapo after she was caught at the border, helping Jewish women cross into Switzerland. She eventually was freed but endured rough treatment in the course of questioning. She also fell under suspicion when she attempted to improve the living conditions of 700 to 800 Ukrainian slave laborers, all of them women, who had been assigned to work in the plant during the 1940s. Why has no one told this story until now? According to the late Norman Lipton, a freelance writer and editor, the Leitz family wanted no publicity for its heroic efforts. Only after the last member of the Leitz family was dead did the"Leica Freedom Train" finally come to light. 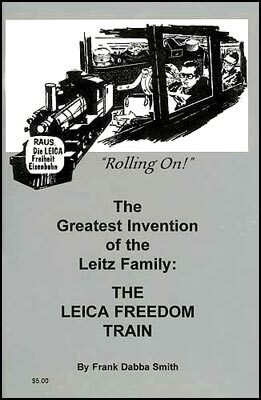 It is now the subject of a book, "The Greatest Invention of the Leitz Family: The Leica Freedom Train," by Frank Dabba Smith, a California-born rabbi currently living in England.